CARDIFF’S own Capital City Jazz Orchestra is back at St David’s Hall by popular demand on Tuesday 26 September for another exciting evening of jazz and swing. 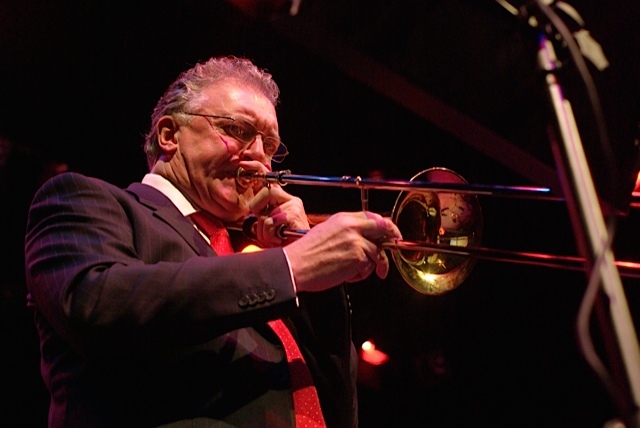 Plus, this time they will be joined in the L3 Lounge by very special guest Gordon Campbell, who is widely renowned as one of the UK’s best trombonists! Gordon is Lead Trombone with the John Wilson Orchestra and the BBC Big Band (a position he has held since 1984). His varied career has encompassed jazz, classical, musical theatre, film and pop. He’s worked with many of the world’s leading performers too including Ella Fitzgerald, Sarah Vaughan, Barbra Streisand, Tony Bennett, Ray Charles and Robbie Williams to name just a few. The Capital City Jazz Orchestra was originally formed in 2007 to play once a month at Dempsey’s Jazz Club in Cardiff, but have since gone from strength to strength. Since then they have worked with acclaimed artists such as Matt Ford, Lee Gibson and Nigel Hitchcock, and have appeared at International Jazz Festivals including Swansea and Brecon.